Increased competition from nimble digital upstart banks like Monzo and Starling has put pressure on banks to bring more innovative digital products to their customers, avoid downtime and ease the economic pressures to modernise their infrastructure and reduce the overhead required to keep creaking in-house systems stood up. Founded in London by four ex-Googlers in 2014, Thought Machine spent two years developing its Vault OS core banking platform, which it unveiled in 2016. Since then it has forged high-profile partnerships with IBM, Atom Bank and Lloyds Banking Group, which also invested £11 million in the company last year in exchange for a 10 percent stake. As part of its broader modernisation plans, Lloyds has now turned to Thought Machine and its proprietary Vault OS, with the Financial Times reporting this week that it has started discussions with regulators about moving 500,000 customers from its legacy Intelligent Finance brand to the new platform. Lloyds Banking Group (LBG) said that it would not comment on speculation but that it is working with Thought Machine as part of its broader strategic plans to modernise its technology base. This will prove something of a dry run, as the bank plans to incrementally move more customers over to the new system, if successful, over the coming years in a bid to reduce its annual IT spend. By investing in Thought Machine last year it clearly has a high degree of confidence in the platform. A source close to the bank added that it is investigating multiple routes to modernising its technology stack, including adopting external technology where it could prove most effective across the group, as well as tapping internal expertise where appropriate. Turning to a vendor with just two years of experience and a largely untested platform is certainly something of a risk for one of the country's largest banking groups, which would explain why the initial rollout is so measured. The bank told the FT that it was being cautious about the migration but didn't expand on that. So far no bank has a 'live' instance of Vault OS with transacting customers on the platform. Challenger bank Atom signed a deal with Thought Machine in November last year, but has yet to move customers onto the platform. "Thought Machine is commercially engaged with a number of banks, most of whom are going live in 2019. Banks will go live on Vault once all systems have been built and thoroughly tested," Thought Machine CEO Paul Taylor told Computerworld UK. The bank will certainly be keen to avoid the sort of high-profile migration disaster that hit TSB, which was once part of LBG, last year, when customers were locked out of their accounts, had money disappear and could even see other customer's accounts after a failed migration in April 2018. If it goes ahead the migration will certainly come under a high degree of scrutiny as the Treasury Select Committee announced in November that it will investigate whether banks are sufficiently prepared for outages, and if regulators such as the Financial Conduct Authority and the Bank of England are equipped to hold them to account. Nicky Morgan MP, chair of the Treasury Committee, said at the time: "The number of IT failures at banks and other financial institutions in recent years is astonishing. Millions of customers have been affected by the uncertainty and disruption caused by failures of banking IT systems. Measly apologies and hollow words from financial services institutions will not suffice when consumers aren't able to access their own money and face delays in paying bills. "The committee has launched this inquiry to consider the causes and consequences of these failures, and will examine what industry and regulators are doing to promote operational resilience." There will of course be some impact on jobs as a result too. In November the bank announced that it was cutting 6,000 traditional roles but creating 8,000 digital roles as it looks to offer customers a greater range of digital services. 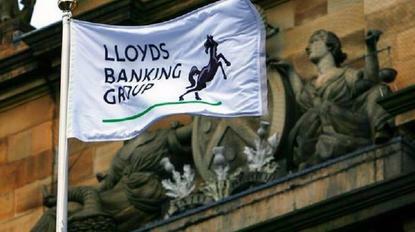 As a result of the reports this week, Mark Brown, general secretary of the independent BTU union, which represents about 20,000 Lloyds staff, told the FT: "The bank knows when and where jobs will be lost as a result of the implementation of Thought Machine's core banking platform and it should publish that information immediately. Hiding that information from staff is unacceptable." Who is behind Thought Machine? CEO Paul Taylor was a research scientist at Google after his startup Phonetic Arts was acquired by the search giant. The company's CTO Will Montgomery was a senior software engineer at Google before joining his fellow Cambridge alum at Thought Machine and the company's COO Matt Wilkins and and CIO Peter Ebden are also both ex-Google. VaultOS was built to be cloud-native, enabling cheaper and faster scaling as more customers come on board, without the need for expensive in-house data centres and large operations teams to keep creaking infrastructure stood up. It runs on AWS, Google Cloud Platform(GCP) and IBM Cloud, with plans to port to Azure soon, making Vault close to cloud agnostic. It was also developed using private blockchain technology and each customer gets its own centralised, permissioned ledger (called The Kernel) to ensure best of breed security, the vendor claims. All staff then use the Vault OS to do their day jobs, with different permissions assigned to certain staff members.